Dr. Rishi Sriram serves as Associate Professor of Higher Education & Student Affairs, Associate Chair for the Department of Educational Leadership, and Residential College Faculty Steward of Brooks Residential College. Dr. Sriram's research interests include student affairs practice, collaboration between academic and student affairs, and college student retention, engagement, achievement, and learning. Before beginning his role as a faculty member, Dr. Sriram spent eight years as a higher education and student affairs administrator. As Assistant Dean for Student Learning & Engagement, he played a primary role in the development of living-learning programs at Baylor, as well as the establishment of a faculty-in-residence program. His administrative work won him a NASPA Excellence Award (Gold Honoree) and a Promising Practices Award from the NASPA Student Affairs Partnering with Academic Affairs Knowledge Community. 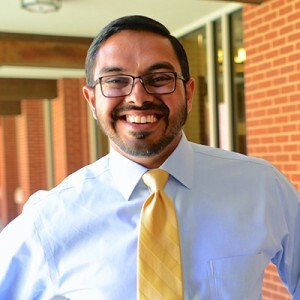 At Baylor, he was selected to serve on the Provost's Diversity Committee, the President's Advisory Council on Diversity, and as Chair of the Faculty-in-Residence Council. Nationally, he serves on the executive team of the newly formed Residential College Society. In February 2017, Dr. Sriram delivered the keynote address for theAnnual Conference on the First-Year Experience of the National Resource Center, which drew more than 1,800 attendees. Read about it in Instant Impact.